As a mother myself, I know just how invaluable it is to be able to look back at my baby photos and relive those moments. Baby's do grow so fast, and I believe it is so important to document their squishy newness. I offer both posed and in-home lifestyle newborn photography. Both are extremely special in their own ways, and if you can't choose between the two, check out my belly and beyond plan to learn about the bundling incentive you will receive for booking multiple sessions with me! Posed newborn sessions are done in my home located in Rockwall, TX. Before your session, we will plan out your color scheme, props and posing requests. I am fully stocked with beautiful wraps, blankets, hair pieces, and bonnets for your little one so there is nothing you need to bring! If you have something sentimental you would like to incorporate, I am happy to do so. In-home lifestyle/documentary newborn sessions are so very special, and yet quite different from a posed newborn session. While your baby will remain the star of the show, this session is very laid back and done in the comfort of your own home. There, I will document your little one in his/her nursery and other places in your home. To book a session, it is best to contact me around your second trimester as my schedule fills up a couple months in advance. I take limited sessions each month to ensure I have a flexible schedule since baby's never seem to arrive exactly as scheduled. Once your baby arrives, I will pencil you in my calendar on your due date. When your little bundle arrives, we will schedule a date and time for your session. Newborns are best photographed between 5-12 days old. With each passing day, your baby's features will subtly begin to change, so I'd like to capture all the squishy newness while it lasts! How long a session lasts depends on the session type you choose. 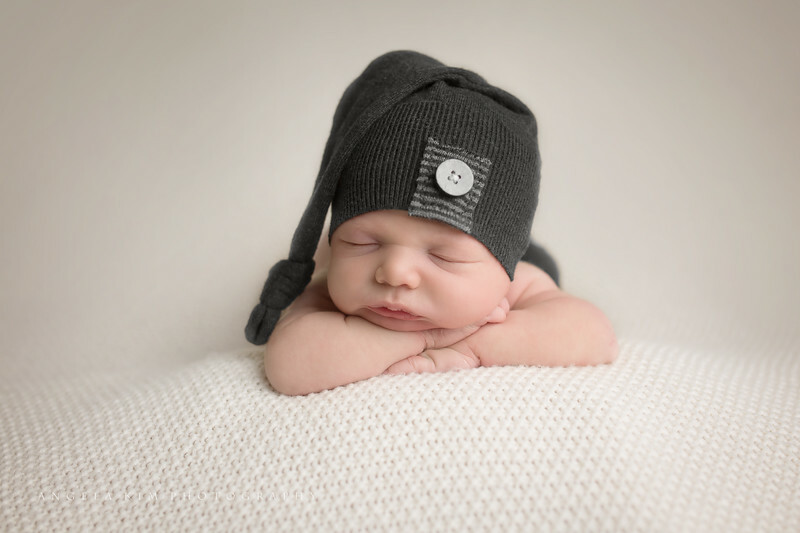 Most posed newborn sessions will last anywhere between 2-4 hours, depending on baby's mood and sleepiness, and the lifestyle session is around 90 minutes. This allows time for feedings, set changes and cuddles for baby's that need a little extra help falling asleep. If you have an older baby, no problem! I can photograph older newborns over 2 weeks old. Lifestyle sessions are perfect for older babies but we can also do a posed session if that is your desire! Listed below are different package options for you to choose one that best fits your needs. If you have any questions, please contact me and I will be happy to talk things through! Become a member of my baby plan! Members receive special pricing on these packages by booking a Belly and Beyond Milestone Collection. Click here for more details!